The vibrancy of colors is something that brings in a lot of positivity in our lives and Holi being the festival of colours is a day to celebrate and rejoice. And, the cast of Zee TV’s extremely popular fiction show ‘Guddan… Tumse Na Ho Paega’ are set to celebrate the festival in a big way in Goa. As per the show’s upcoming plot, Durga’s (played by Shweta Mahdik) brother Rakesh aka Rocky (played by Manan Joshi) invites the entire Jindal family to celebrate Holi with them in Goa. But, during the course of the event, Rocky turns rogue and tries to act fresh with Lakshmi (played by Sehrish Ali). When Guddan realises this, she takes a stand against Rocky’s misbehaviour without knowing what is in store for her. 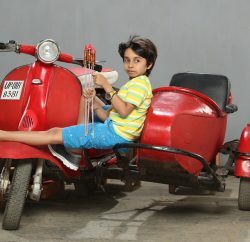 Akshat (played by Nishant Singh Malkani) too gets involved as he tries to save Guddan and this leads to a lot of drama. 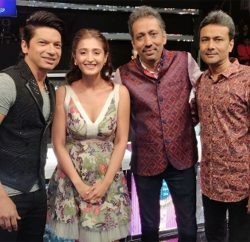 Recently, the cast and crew of the show had a gala time shooting at the beachy destinations of Goa, smearing and splashing colours as they shot for the sequence. The actors were also joined in by the locals as they soaked in unbridled joy of the festival. Amidst all the celebrations and revelries, will Guddan and Akshat be able to pin down Rocky and save Lakshmi?